White Rioja – an underrated classic? 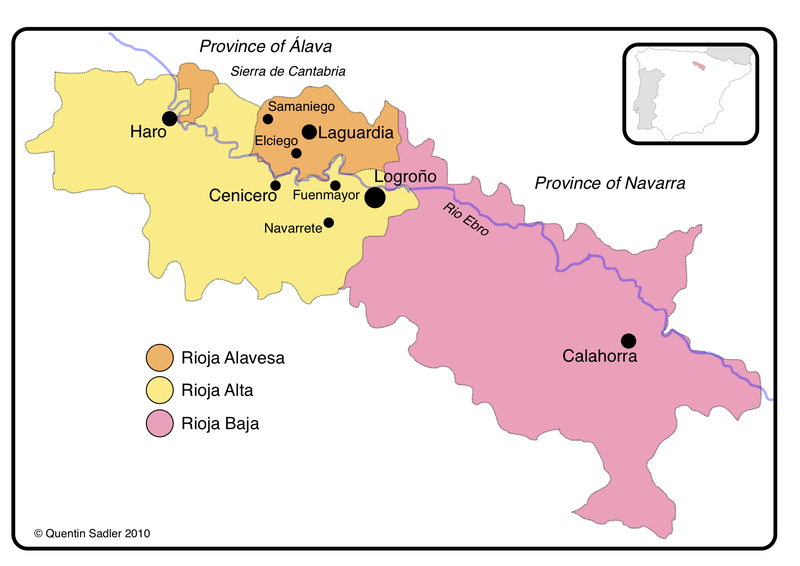 Rioja is so famous as a wine region that produces great red wines that many people remain completely unaware that the region makes white wines as well. I think Rioja makes some really impressive white wines that are especially wonderful with food, of course there are many terrific white wines made all over Spain that will repay a little experimentation. 1 – Fresh, modern and crisp dry whites made without any oak at all and tending to use 100% Viura – classic examples are CVNE’s Monopole and Marqués de Cáceres Blanco Joven as well as Marks & Spencer’s Terrasoto White Rioja. 2 – The classic, old fashioned and very traditional style of Reserva and Gran Reserva white wine that has extensive oak ageing and a little bit of Malavasia grapes in the blend to give the wine some fat – leading examples are Marqués de Murrieta Ygay as well as López de Heredia Viña Tondonia. Ever since 1915, when CVNE‘s Monopole was created, white Rioja has been reinvented to suit the times and the capabilities of modern technology. In 1915 a lightly oaky wine was revolutionary and fresh compared to all the region’s other white wines. In 1970 the first truly crisp white Rioja came along – the Marqués de Cáceres Blanco Joven – and it was a revelation, completely changing how white wine, especially Spanish white wine was regarded. It was clean, fresh and had no oak, the obvious characteristic was lemony acidity. 3 – Barrel fermented white Rioja, fermenting in oak, but not ageing in oak – or not long enough to be a Reserva or Gran Reserva anyway – gives a lovely kiss of oak to the wine, adding complexity and texture while keeping the fresh, clean qualities that mark a modern wine. I think that Viura and barrel fermenting go very well together and that it really lifts the grape to new heights, giving it a richness and an exotic orange-like aroma – these also usually have some Malvasia in the blend. Really good examples of this new style are: Marqués de Cáceres Antea Barrel Fermented, CVNE Monopole Barrel Fermented, Viña Real Barrel Fermented, Muga Rioja Blanco and Marks & Spencer’s Torresoto Oaked White Rioja. Fernando Remírez de Ganuza is actually from Navarra, but decided to make wine in the wonderful Rioja sub-zone of Rioja Alavesa. 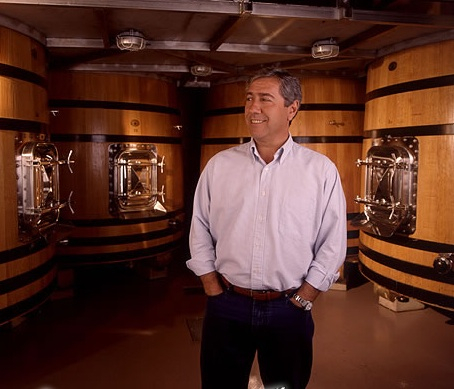 His superbly equipped winery and some of his vines are in the beautiful old village of Samaniego – he has other vineyards in Elciego and Laguardia as well. This mountainous area gives gentler, cooler conditions than the harsh Rioja Baja and has big temperature drops between night and day, which helps to retain acidity and elegance in the finished wines. Fernando certainly has one eye on tradition – Rioja is always in part traditional, but also is firmly rooted in the present and the future as far as using technology and aiming to achieve great quality in the vineyard and the winey is concerned. This white wine uses 60% Viura and 40% Malvasia – which adds to the richness of the texture. Like many of Spain’s white grapes Malvasia oxidises easily, so has had to wait for modern winemaking to come into its own. They very carefully select the grapes to be used and the wine is fermented in new oak barrels before being aged on the lees for a further 5 months in those same barrels – lees stirring adds depth, complexity and texture to the wine. The colour was an attractive pale gold with a slight touch of yellow too. The aromas were delicate with orange blossom and tangerine citrus dominating. The palate was fresh and lively with an elegant creamy texture, subtle smoky oak and a lovely seam of clean acidity keeping it all balanced and joyous – it was also very long on the finish. This was delicious, complex and hugely enjoyable, I really do think it might be the best white Rioja I have ever tried and it is certainly a very fine wine indeed. I would love to try it with a tuna steak, but it would be equally good with some pork or chicken – 92/100 points. £16.95 a bottle from Uncorked.